Provable Data Possession (PDP) scheme is a cryptographic protocol that allows the users to check the availability and integrity of outsourced data on cloud storage servers (CSS) which are not completely trusted. Most of the PDP schemes are publicly verifiable, while private verification is necessary in some applications to prevent the disclosure of any relevant information. 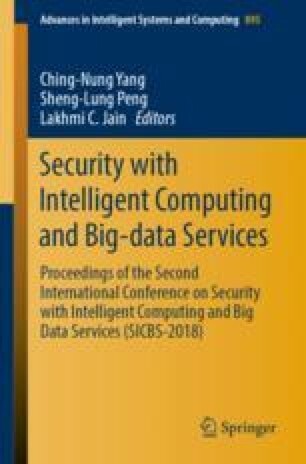 In this work, we consider the scenario of allowing the cloud user to determine whether the clients can use the data or not through controlling their ability to verify the proof correctly, and propose an identity-set-based PDP (ISB-PDP) scheme. Our ISB-PDP scheme is not only proved to be secure under the hardness of the computational Diffie-Hellman (CDH) problem, but also select/cut some clients (verifiers) dynamically to check the proof correctly according to the needs of the cloud user. We are very grateful to the anonymous referees, who pointed out several inaccuracies and suggested improvements in the presentation of the paper. This work was supported by the National Natural Science Foundation of China (Nos. 61572132, U1705264, 61672030, and 61702237), the Natural Science Foundation of Jiangsu Province, China (No. BK20150241), and the Special Foundation of Promoting Science and Technology Innovation of Xuzhou City, China (No. KC18005).